The Union Finance Minister Mr.P.Chidambaram will be leaving on a four day visit from 9th to 12th July, 2013 to United States of America (USA) tomorrow. The Finance Minister Chidambaram will arrive in Washington DC on 9th June, 2013. 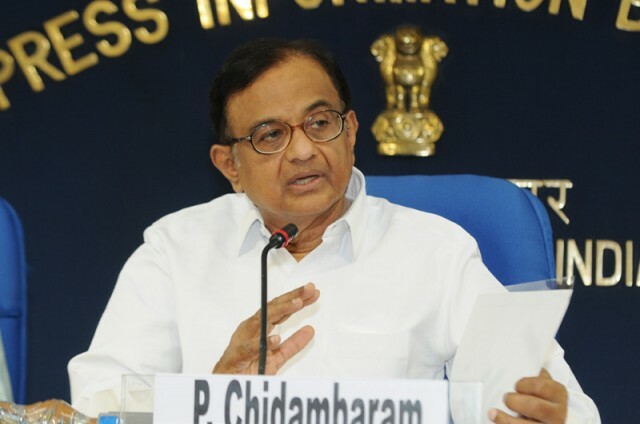 During his visit, the Finance Minister Chidambaram will deliver the Key Note Address at the Plenary Session of US India Business Council 38th Leadership Summit on 11th July, 2013. During his stay in US Capital, the Finance Minister Chidambaram is also expected to meet the leading US business leaders including Mr Brad Smith, Microsoft`s General Counsel and Executive Vice President, Legal and Corporate Affairs, Mr Pat Dewar, CEO, Lockheed Martin International, Mr.Scott Price, CEO, Asia, Walmart, Mr Henri Croupon, CEO, ILFC and Mr Sheperd W. Hill, President, Boeing International among others. The Finance Minister is likely to discuss the issue of investment by US companies in India especially in infra sector, various policy measures taken by the Government to boost investment in the country and tax related matters among others. Beside above, the Finance Minister Chidambaram will also meet his US counterpart and US Treasury Secretary, Mr Jacob Lew during his visit. The Finance Minister is also expected to meet Senator Max Baucus (D-MT), Chairman, Senate Finance Committee and Senator Warner (D-VA), Co-Chair, Senate India Caucus during his stay in Washington DC. The Finance Minister will leave for back home on 12th July, 2013 and will arrive in the national capital on 14th July, 2013.